We're sure you know about the tricks by now, but what about the treats? Check out College Mag's ratings of Halloween candies and find out which ones will have the least spooky effect on your waistline this holiday season. While these mini treats sure seem non threatening, each one of these suckers packs in 11 grams of fat each! Steer away from these treats to avoid being confused for a pumpkin yourself. Although these colorful vines seem innocent, they have enough sugar per serving to supplement a small bakery. Limit your portions to one or two at a time to avoid feeling the effects of the over-sweet treats. A spooky secret the company keeps from their customers is that the brand actually uses compound chocolate, which is made up of cocoa, vegetable oil, and artificial sweetners-it's no bueno for your health. The Horror! With 14 grams of fat and 27 grams of sugar, Twix might be one of the worst things you could chew if you "Need a moment." Perhaps take a moment to grasp the fact the Twix isn't doing you any favors this October. As appealing as chewing flavored rubber sounds, its not doing your teeth or health any favors. Sweet, sticky, and ghastly amounts of preservatives. 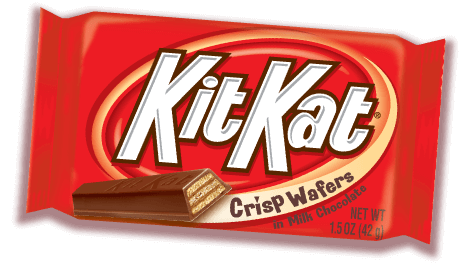 With only 140 calories per 19 "kernals," this Halloween treat is great to snack on without causing any serious damage. With more nutritional value than plain and peanut M&M's, these fun sizes treats are a good way to get your chocolate fix. With a serving (of nine!) containing only 60 calories and 14 grams of sugar, this candy is a win-win for your sweet tooth and your stomach. With only 2.5 grams of fat per patty, this old favorite keeps you in the Halloween spirit and keeps your breath fresh as ever–what could be a better combination for a night out celebrating? While the bar stats are a little bloodcurdling, split this one with a friend and you'll be in great shape, taking in only 110 calories! And who could come up with a better ice breaker than a chocolate bar?